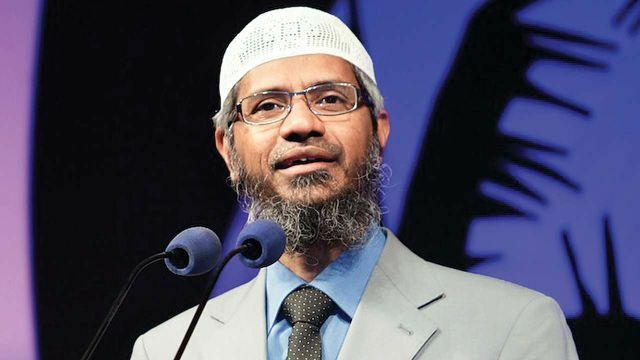 New Delhi : India’s request to extradite controversial Islamic preacher Zakir Naik is under “active consideration” of the Malaysian authorities, the government said on Thursday. “We had made a formal request for extradition of Zakir Naik, an Indian national living in Malaysia. It was made as per the extradition treaty we have in place with Malaysia,” External Affairs Ministry (MEA) Spokesman Raveesh Kumar said here. Naik is facing various charges, including for hate speech and money laundering through Islamic Research Foundation (IRF) that he founded. The National Investigation Agency (NIA) had first registered a case against the evangelist under anti-terror laws in 2016 for promoting enmity between religious groups. On Wednesday, Naik in a statement said that he had no plans to come to India till he felt safe from “unfair prosecution”. “When I feel that the government will be just and fair, I will surely return to my homeland,” he has said. Is the Cause of Terrorism Islam, or Foreign Policy?